Don’t let the clean lines and modest design fool you. 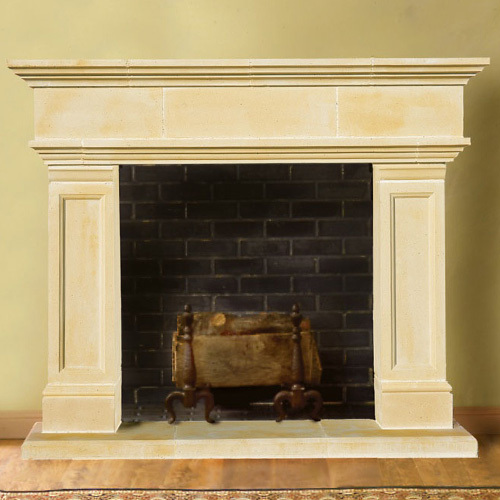 The Hampton cast stone fireplace oozes with beauty and luxury. It has a keen ability to tie any room together. Still, the Hampton encourages you to inject your personal style by decorating it with your choice of ornamentals. With an impeccable record of high-quality craftsmanship and attention to detail, Old World Stone has earned the trust of many happy homeowners. See what makes us different! Ken Oster Homes would like to thank Old World Stoneworks for the beautiful fireplace surround. We’ve been In the homebuilding industry for over 30 years and have been skeptical about ordering products from out of state or over the internet. Old World Stoneworks has been an excellent company to work with, materials were shipped on time, with the custom fit sizes all made correctly -not to mention the high quality and craftsmanship. I would recommend Old World Stoneworks without a doubt. Thank you for your professionalism and attention to detail. We look forward working more with you.